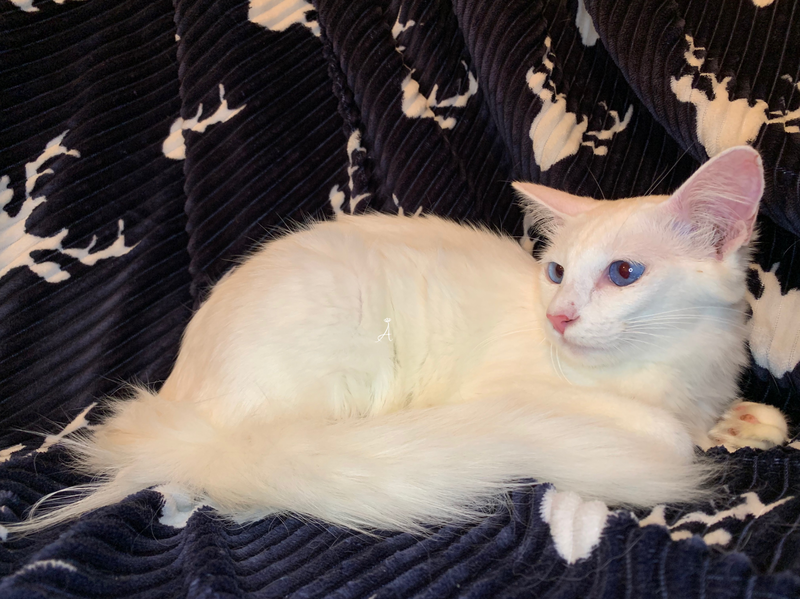 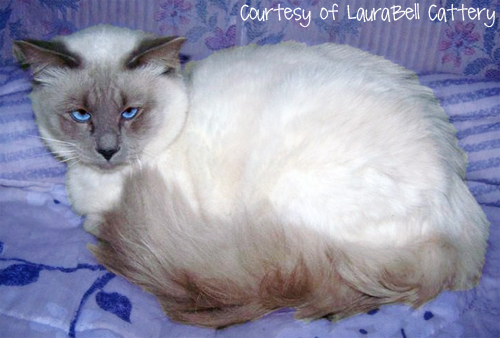 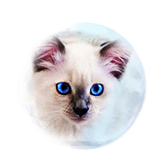 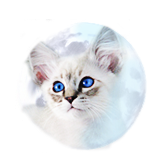 Eva is a very rare and beautiful Ivory point, Foreign White Balinese out of our Belgium imported female Roxane, and Samson of LauraBell Cattery. 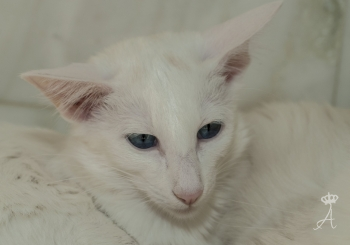 Eva is the product of producing a true outcrossed Foreign White Balinese female. 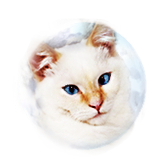 Her mother Roxane comes from proven Foreign White Siamese and Balinese lines which is why she is a very rare and unique cat. 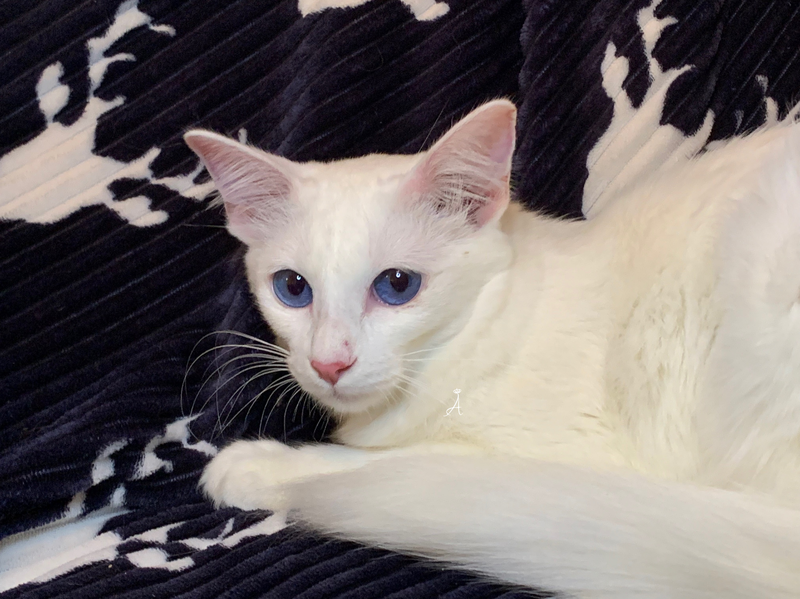 Eva is a sweet girl that is also a very good and protective mother. 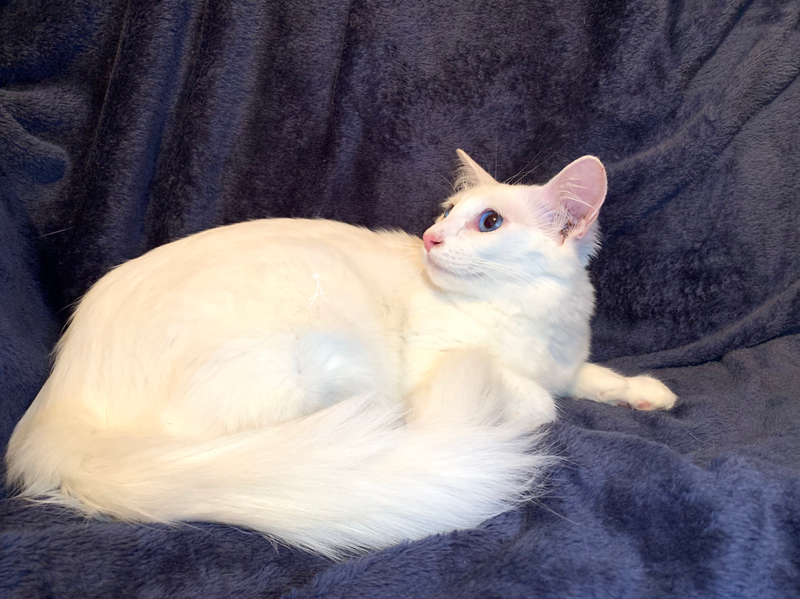 Her kittens are more Old-Style than classic/modern when bred to an Old-Style male due to her father Samson having a long line of Old-Style cats. 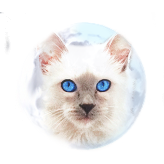 We are very happy with her kittens and hope to continue in improving this rare breeding line and producing very attractive Old-Style Ivory point Balinese for the future. 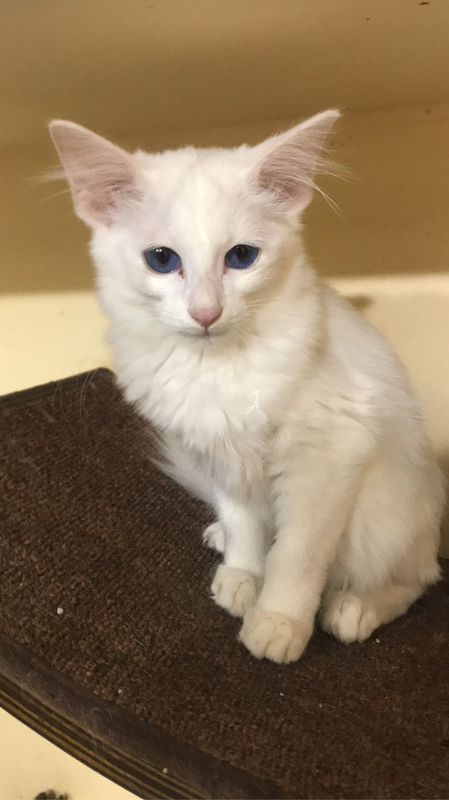 A full white coat and beautiful blue eyes is an elegance to admire and the Ivory point Balinese is just that, a true elegance! 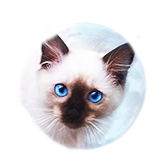 Please stay tuned to Eva and our Ivory point Balinese lines.